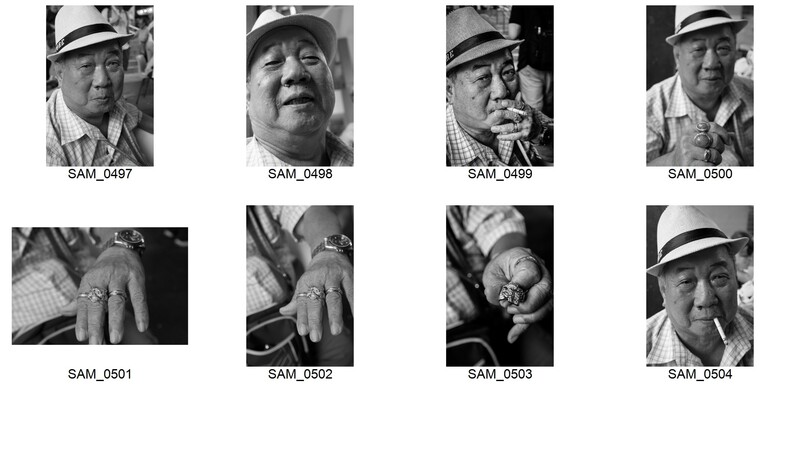 When I first read Eric Kim’s email confirming his street photography workshop, I wasn’t quite sure what he meant. Hello Streettogs! Did he mean street-hogs, like for bikers? or street-togs, like for shoes? Only after saying it out loud did I figure it out. This was the first thing I learned from Eric. Over the next couple days I had the chance to learn more. 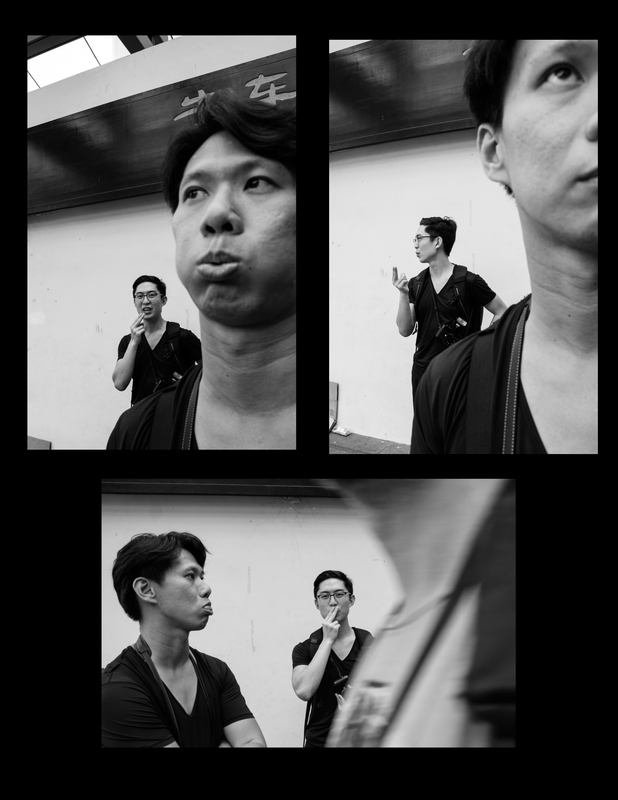 Hubby and I were part of a workshop on “Conquering Your Fears in Street Photography” where we walked through Singapore practicing the Art of Street according to Eric. On our first day we focused on rejection – how to conquer the fear of strangers by asking their permission to take photos and then dealing with the no’s. I call it the day of “Cans and Cannots.” Since we were in the heart of Chinatown it was very easy to get the “Cannots.” I quickly exceeded my quota of five No’s. The big surprise though was the number of Yes’s. My end of day tally showed fifty percent more Yes’s than No’s. Even more surprising were the quality of shots taken with permission. The big lesson of the day was to take many shots and work the scene by taking different angles and poses. It’s very tempting to shoot and run but Eric’s advice was to take at least ten shots and then twenty percent more. I didn’t quite achieve that target but found that my best shots were from sets of multiples, of people I’d engaged and talked with over a period of time. The second day we focused on Candids. We shot sneak streets and practiced taking photos on the sly. One of Eric’s tips was to take pic’s but continue shooting long after the subject’s moved out of the frame. I admit to not having any good shots on day 2. Maybe I was too ‘ttogged out – I was just coming off an 10 day trip. I felt a little bit like this guy. My favorite part of the workshop was the feedback session at the end. We each shared our three best shots with the group, gave and received critiques and voted on each person’s best shot. My classmates had some amazing pictures and showcased a range of style and perspectives. For a view of their work, have a look here. These were my 3 Best Shots. Can you guess which was voted best? 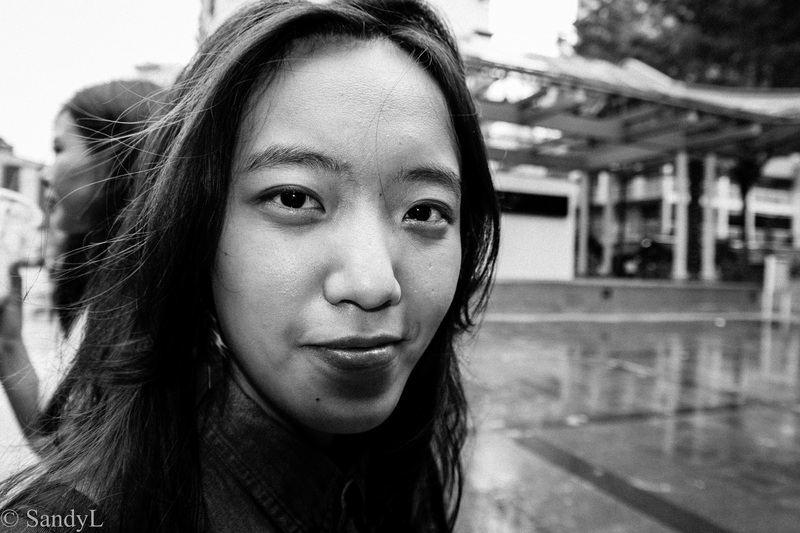 For good reading and great tips on taking street photography check out Eric Kim’s blog. He also gives fun workshops but sign up fast because they sell out quick! Posted on November 7, 2016 November 8, 2016 by SandyLPosted in SingaporeTagged Photography, Singapore.